Now, E is tough. By the time, we were able to grab him, the poor boy’s face was covered with a thin layer of sand. We comforted him and quickly wiped his eyes, mouth and the rest of his face. E let out a few cries, but that was it. I think the shock of being shoved was far more upsetting than the sand in his mouth. Go figure. A minute afterward, and he was smiling like he was having the best time ever. I don’t know about you, but I would have been bawling had I just had my face smashed in the sand. Impressive, my son, impressive. The beach is my comfort. It is my second home. The breeze soothes. The constant slush of the waves offers peace. And, the pure grandiose of the ocean is God’s gift. It’s amazing the power of all these things still outshine the tears, whining and exhaustion that always weasel their way into vacations. 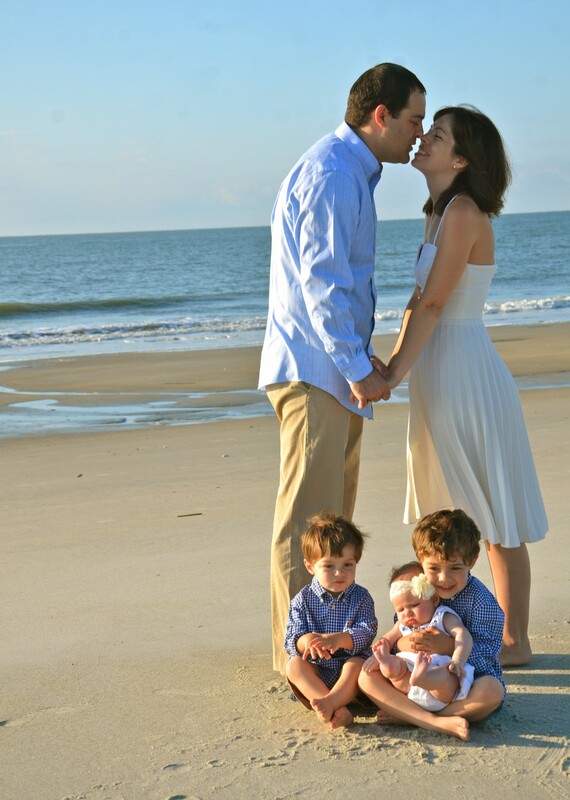 Sleepless nights and epic meltdowns all seem manageable at the beach. And, even better, my two little boys share my love. As I watched A dance around the waves, kicking and squealing with glee, my heart was happy. A wave that caught him off balance sent him into a fit of giggles. His excitement was pure and intense. It wasn’t always that way. 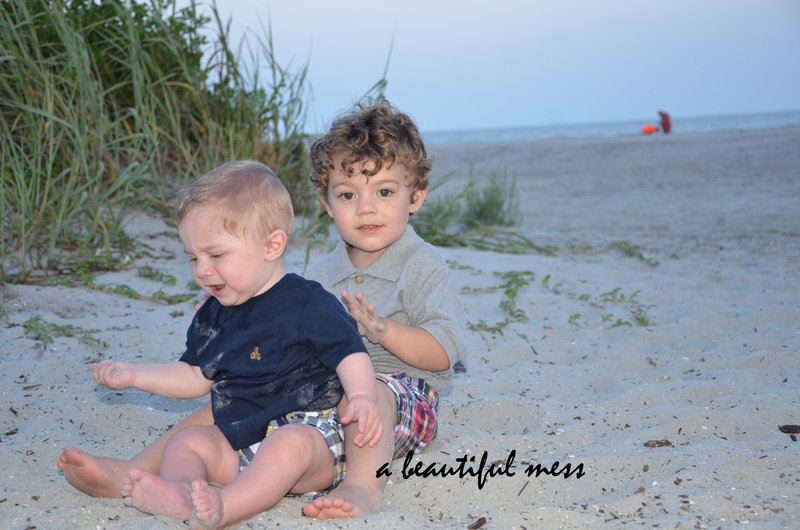 A’s first trips to the beach were filled with uncertainty about those crashing waves and distasteful sand. I’m not going to lie. I was fearful he would decide he hated the beach. What a nightmare. 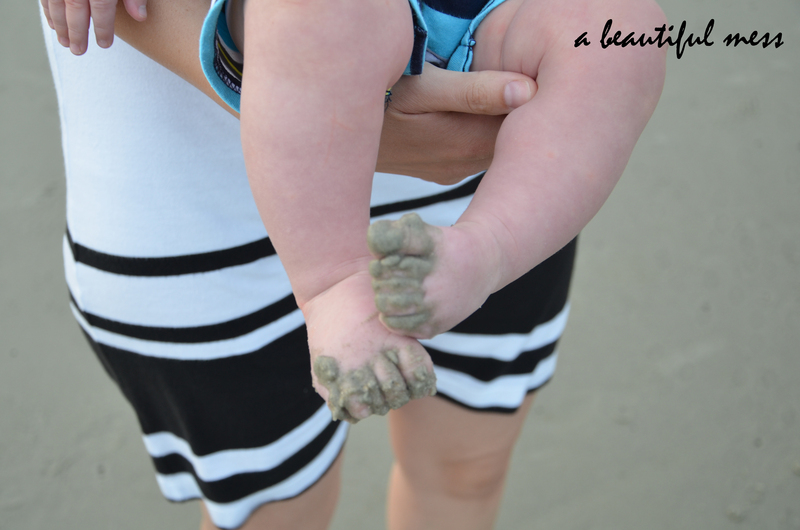 This was E’s first trip to the beach, and he is truly his Mommy’s boy. From first step onto the beach, this child was all smiles. He was entranced by the sand and studied the waves. 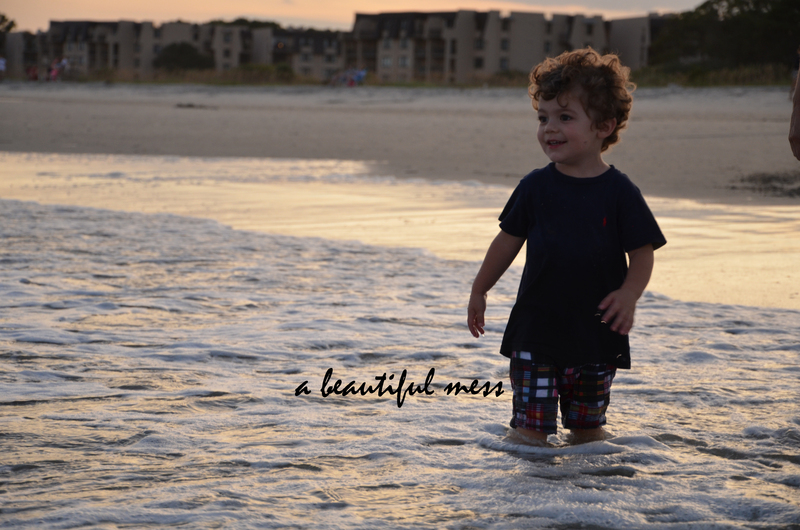 And, he planted his pudgy little feet firmly into the muddy sand with no hesitation. This is a beach boy by birth.